Oh, Kat, I’m happy you’re feeling a lot better now! I won’t pretend I know what your problem is or how you’re feeling, but I sincerely pray your circumstance draws you closer to God. Hi, Maan. Thanks for your concern. I think I have read those verses in one of your posts, too! I am doing fine. It was just one of those days that I felt lonely. I missed a lot of people, I guess. I had so many things to do. Emo lang. God is great, indeed! Sometimes, I just overthink. It was not much of worry. A lot of my concerns were just created in my head. Nevertheless, God is great! Its frustrating sometimes when things just doesn’t go our way. I always lean to prayer to keep piece of mind. Thank you for sharing this awesome verse, I’m glad that you feel a lot better now. Just keep on praying darating din tayo dyan. God is Great All the Time Kat! Glad to hear you are doing great now! 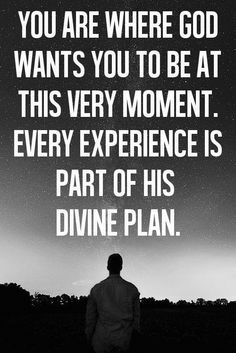 Don’t worry too much, because as the verse said everything is part of His Divine plan. Love your message. I too believe that GOD does answer your prayers and that we should talk to him more often an even throughout the day if possible. I too sometimes forget to talk to him. I love this line “8 Finally, brothers, whatever is true, whatever is noble, whatever is right, whatever is pure, whatever is lovely, whatever is admirable–if anything is excellent or praiseworthy–think about such things. If there’s one important thing I have learned through the years, that is to trust God that everything happens or not happen for a reason. I always entrust everything on Him everytime I pray for I know, He’ knows better than I do. I am glad you are doing fine now, this shall pass sis. There are times that we feel very depressed but unexpectedly we receive a very good news. That is how God gave us miracles even in a very small things. Just like last year we have a slight problem financially and unexpectedly, we receive a blessing just in time we need it and we are very thankful for it. It’s really important to constantly talk to GOD especially nowadays when there is so much chaos and destruction in our world. Only GOD can see us through these difficult times. True. I am the same as you. Sometimes, I feel like I am only talking to Him when I’m in dire need and forget Him in times of triumph. I am always sorry whenever i think about it but I unconsciously repeat this. God still loves me even though I am a sinner. We need to be constantly reminded to thank Him ALWAYS. There are reasons why things doesn’t happen as planned. and I believe that it’s a reminder to us that no matter how strong or smart we may be, one can do nothing without Him. It is frustrating when we don’t get our way but when we trust God, we can always see that all things come together according to His plan and we see something really good. Praise God. Kat, I’m glad that you’re seeing God at work in your life.